This summer was a heartbreaker for Manchester United fans. If it wasn’t bad enough that we lost the best manager in the history of the game, we also squandered an entire transfer window only to nab a Belgian with big hair. It was enough to break many a Man U fan’s heart, and even the sight of David Moyes was enough to elicit curse words and fist swinging. Add to that pot of pain, the loss at Anfield earlier this season (oh Charles relax, we get it, you guys are good again) and well, it’s easy to see why some supporters are losing faith in the Red Devils. I was one of them. I began to think, “Maybe Manchester United, despite winning the league last season, isn’t particularly good anymore”. Overall it was a frustrating period, made even worse by my stumbling upon the leaked PES 14 demo. While I enjoyed the game at E3 for the potential it had, I was super disappointed to play a very similar code in the leaked demo. Sure it had potential but I was beyond frustrated by the lack of fun, responsiveness, and overall quality. Yes, Adam Bhatti said repeatedly it was a “leak” and they were working hard to improve upon this early code, but it just erked me how far off my expectations this code was. Yes it looked good but it played far from it, and while I’ve always had faith in Konami, through thick and thin, highs and lows, for some reason, this leaked Demo rubbed me all kinds of wrong. I don’t know if it was because it was so close to launch or because I’ve never really played a PES demo that was that far off the mark, but it left me questioning this year’s game, especially with the lack of rain and stadium editor already weighing on my mind. It suddenly became easy to look over at EA’s next-gen FIFA and go “Well, that’s the game this year”. Suddenly I found myself in a hot seat. How was I going to tell my PES buddies? How was I going to afford a trip to Old Trafford so I could tell David Moyes how to do his job? 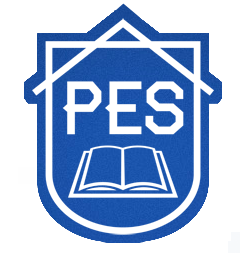 It was all heavy on my mind and frustrating at the same time, until something truly amazing happened…the official PES demo dropped on PS3. 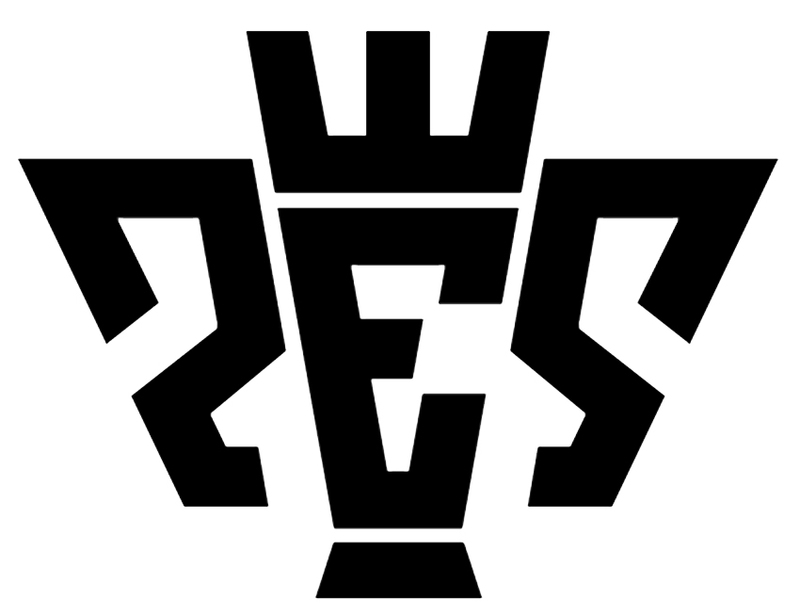 Now I know I’ve been a PES faithful all my life. I also know that I’ve praised the E3 code. It’s great being a fan of a product (and a team), but over the course of a long failing period (and losing streak), it starts to challenge even the most passionate of supporters to stand by their beloved squad. Like being a fan of Leeds United back in the day. At a point you were winning all the time, looking good and now you’re left scratching your head, but a real fan stands by their team, like real soccer, but at what point was I going to lose too much faith and flee to another virtual soccer team. The problem with virtual soccer is there are only two teams, Konami and Electronic Arts. So if you’re not with one, you’re with the other. Some can straddle the line, but it’s not exactly easy to do. You’re almost always more of a fan of one than the other. So here I was, looking at a 90 percent downloaded demo of PES 14 and for the first time I didn’t really care. It was as if the leaked demo turned me off so much previous that I figured, well, if this new demo isn’t very good, no worries, I’ll just switch teams. I’ll finally give up on the team I supported and stood by for so long. I mean, I’m not a kid anymore, I can do whatever I want, support whoever I choose. Just like in real soccer, I can easily start liking Arsenal or Chelsea over Manchester United, right? I mean sure I’ll be punched by friends and kicked by supporters, labeled a backstabbing trader and a flip flopper, but whatever, I’ll be winning, right? So, all that said, I decided to play the PES 14 leaked demo first (again). Five games later, I was secure and confident that this was a sinking ship. It wasn’t fun. It wasn’t working. I wasn’t crazy, this just wasn’t very good. So I booted up the new demo, figuring hey, let’s just see what happens. Immediately I felt a level of control that was completely absent from the E3 and leaked demo code. From dribbling to passing to shooting and defending, everything flowed with a fluidity and tightness, a near perfect honing of the foundation that showed potential in earlier code but was never realized. Players felt completely unique to control in a way I’ve never seen (yes, Ronaldo is amazing to use in this game, but so are a ton of other players now, it’s brilliant). The pace and ball physics were wonderful with a disconnected element that finally worked, allowing for an accurate simulation of the beautiful game while perfectly balancing fun with unpredictability. It also looked even better than previous code, showing off the Allianz and Konami Stadium with very impressive power. So amazing were the stadiums and atmosphere that to be fair, I was thrilled there were 20 or so in the full game. In PES 13 there may have been more stadiums, but you rarely felt connected to them (especially in wide cam). Now they look and feel real and to size, with cutaways and a larger scope, not to mention incredible lighting (in short, stadiums feel different now and you’ll have favorite locations). The crowds, while not true 3D, are very pretty 2D and very much alive, and they feel like the 12'th man during games, and with a great home and away feel you can turn any of those stadiums into a home stadium for any team and it feels proper. Needless to say I was on cloud nine after playing only a few games, and the game wasn’t just fun again (a return to form), it surpassed every bar I had set (and with high expectations). I always wanted a return to form for the PES franchise, a next-gen PES 5 or PES 6, and here you not only have that but you have better than that (yeah, PES 13 wasn’t bad but this destroys it). This is a game that raises the bar even more than PES 5 and PES 6 ever could. It’s so good that when you fully come to grips with the game and controls you’ll realize once again why gameplay is all that really matters in the end. It’s just THAT good, and it’s that rewarding, and above all else, it’s that FUN. After playing a ton of the new demo, I found myself wondering how I could ever doubt Konami in the first place, clearly they came through when it mattered most, new engine, big expectations, big competition, and they somehow nailed it. Blew me away. I was so impressed that it made me start thinking about Manchester United. Was I being too harsh on Moyes? Was I being too dramatic in general? I mean, as with my fanfare for Konami, I’m always going to be a big fan of Manchester United, right? Well, interestingly, Manchester United happened to be playable in the new demo. So I figured why not, chose them and rekindled the flame. I picked up the controller and got behind my favorite team, and PES showed me once again why I’m a Manchester United believer as I was quickly reminded how truly fantastic the Red Devils can be. From Rooney’s power playing and physicality (yes he can muscle off defenders and use his amazing pace to great effect) to Van Persie, who uses ballet like finishing in the box and subtle yet brilliant movements to shake off defenders. It’s all here and it’s all so perfectly recreated that you’ll find yourself wanting to use your entire squad, including the bench. Putting in Welbeck or Ashley Young bring different options to the table that Nani and Van Persie may not be able to match and vice versa (basically, every player now matters and skills really shine and differentiate players). Defending is also exciting and completely rewarding, with a backline of Ferdinand and Vidic I was able to give the opposing attackers hell, and you’ll need them as the CPU AI, especially on Superstar, is wonderful, flaunting player individuality like never before and team play shines as well, just ask Ribery and France who use Pogba to perfection as a distributing midfield (yep they’re giving the young guns love too). It’s just all a lot to take in and appreciate. I played 30 games last night and nearly didn’t go to sleep at all; it was that addicting and fun. It also brought me back to Manchester United, reminding me that I can’t turn my back on the things I love, because even with all the failings, even with the moments that make you question your allegiances and love for something, hanging in there is worth it. Because when you least expect it, or when you most need it, your team rises to the occasion and not only matches the lofty expectations you once set for them, they also reach even higher (see team Konami). But don’t take my word for it, like Adam Bhatti said, “go and play the demo, you’ll see”. I couldn’t agree more. So download it. Grab a controller. Take your time, enjoy it, learn it. It’s not the next-gen game we all secretly want, but it’s so good that it makes a year wait a wholly enjoyable experience. Man, it’s good to be back, though I still don’t have much faith in David Moyes, but hey, at this rate, maybe Konami could coach Manchester United.